Your garage doesn’t just have to be a location to store your junk and park your car. Instead, it can be your favorite room of the house. Everyone has their own unique personality, hobbies, and lifestyles, and the garage should reflect that individuality. Whether you’re a green thumb or a craftsman, we have the garage solutions for you. If you’re ready to turn your garage from mundane and cluttered to beautiful and functional, be sure to contact us today for our garage customization and organization in Gunnison. In this post, we’ll give you just a few of the countless possibilities you have when upgrading your garage. If you’re a tinkerer, craftsman, or even a writer, we can transform your garage into the ideal workspace for you and your projects. 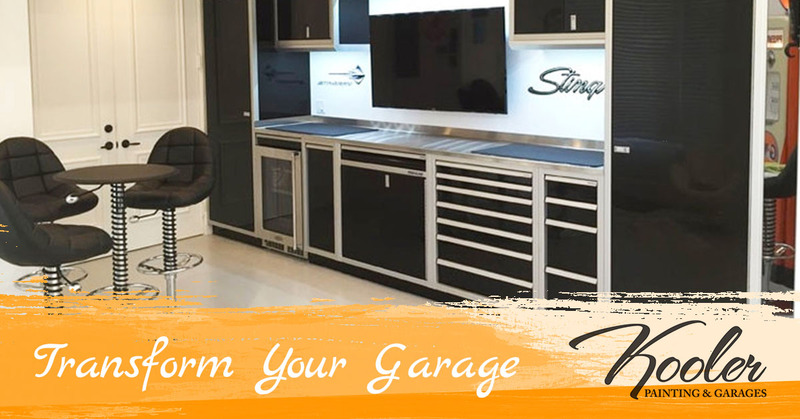 By installing our wall mounted garage cabinets, adjustable shelving, and adding a pristine worktable, you’ll be able to work at any hour of the day from the comfort of your own home. We’ll have the area fully organized and structured so that you’ll no longer have to wonder where a certain tool was left. Everything will be kept safe and secure, and if you have children, out of reach from their curious hands. Our cabinets and garage shelving are all customizable as well, so you’ll be able to choose the color scheme, styles, and sizes in order to match your vision of a perfect work area. If you have an affinity for your cars and motorcycles, you need a place to collect and show them off to your friends and neighbors. With our expertise in floor coating and tiling, lighting features, custom vinyl designs, and so much more, we’ll turn your garage area from drab and scattered to showroom quality to really highlight your impressive collection. If you have the space, or another parking spot for your car, we can make your garage space the perfect spot to lounge around with your friends and neighbors. We’ll organize your garage to give you the area to add some couches and a big screen and design it in any theme you wish. Want it customized with your favorite sports team’s colors and a mural of their logo on the wall? We can do that! When you hire us, we’ll meet with you first to discuss what you’re looking for, and then we’ll get to work on making your garage the best hangout spot in the neighborhood. Is your garage stuffed with skis, bikes, kayaks, and golf clubs? 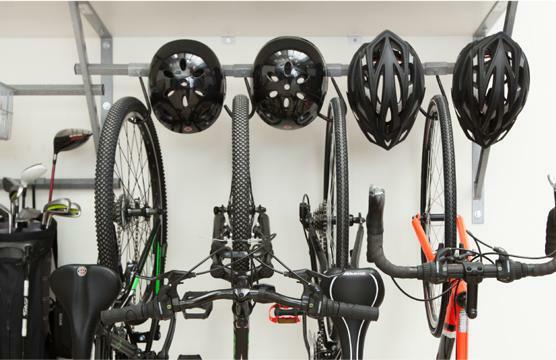 By utilizing our garage organization solutions, you’ll have a spot on the wall for all of your outdoor activities. No longer will you hit your shin on your bike while trying to reach your tennis racket, or have to sift through piles to find your ski gear once winter hits. After we finish, you’ll be ready to hit the road all year long! Maybe the best part about having us enhance your garage? Full organization! You’ll be able to find what you’re looking for immediately. No more needle in the haystack situations while frantically searching for something that is probably under a massive tower of boxes. We’ll also clear up massive amounts of space, so getting from your car to the door will no longer be an obstacle course. Did we mention that it will also look incredible? Enhance the functionality and appeal of your garage, and make all of your neighbors jealous, by calling us for your garage organization and customization needs in Gunnison. Contact us today!